Omar Minaya has some work to do in 2010. If not for the dozens of children waiting for Santa Claus, or at least Jeff Francoeur dressed in the suit, maybe the Mets would have considered postponing yesterday's Christmas party at Citi Field. Instead, Omar Minaya showed up wearing a red sweater and a bull's-eye on his back thanks to Monday's p.r. disaster, which had Roy Halladay traded to the division-rival Phillies and John Lackey agreeing to a five-year, $82.5-million contract with the Red Sox. By Tuesday morning, it really didn't matter that the Mets never had a legitimate shot at acquiring Halladay and only were interested in Lackey on their own terms - namely a shorter deal that would better protect them against risk of injury. After absorbing 24 hours of punishment on the airwaves, and the growing unrest of the Mets' fan base, Minaya had some explaining to do. "I think everybody wants us to improve our club," the Mets general manager said. "The question is when do we improve our club? It has to make sense when you make a move. I feel that in past years we've always found a way to improve our club. 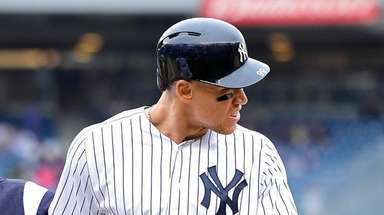 And I feel comfortable that we'll continue to work hard, and when it's all said and done, when we get to Opening Day, our team is going to be better than it was the way the team ended last year." That shouldn't be very difficult, considering those injury-ravaged Mets lost 92 games. But can Minaya convince the right players to come to this humbled franchise? In the case of Halladay, Minaya said he spoke with Blue Jays GM Alex Antopoulos but couldn't find a match. "The reality was that what they were looking for, and what we offered them, they felt they had other options that they liked better than ours," Minaya said. "In talking to Alex, he said, 'Omar, listen, right now the guys we're looking at now we like more than your guys.' "
The Mets figured they had a better chance at Lackey and Minaya kept in contact with agent Steve Hilliard right up until the weekend. Of course, that's when the Red Sox swooped in and completed a deal so discreetly that Minaya still had Hilliard penciled in for another conversation Tuesday. 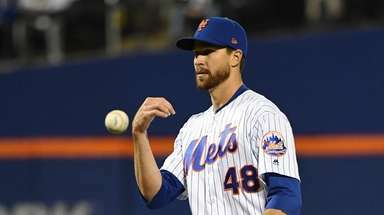 As the Mets wait for Jason Bay's response to their offer, which stands at four years and about $65 million, Minaya had hoped to have Lackey as a fallback, in addition to Matt Holliday, who remains on their radar. 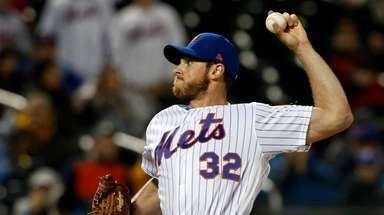 But as one person familiar with the situation said, the Mets were leery of going beyond four years with Lackey, who has a history of elbow issues. "We were going to talk, Minaya said, "but things happened quick. 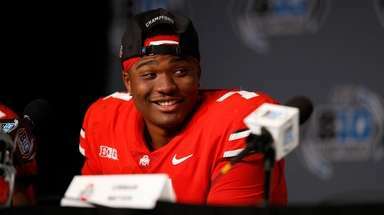 Sometimes things happen quick in negotiations and if a player, if he knows how much he wants and a team hits that number, they're going to make a move." But the Lackey episode is disconcerting for the Mets on another level as they continue their negotiations with Bay and sit on a two-year offer for catcher Bengie Molina. Have they lost their ability to attract top free agents? "I have not felt that," Minaya said. "Coming off a bad year, guys want to go to situations where they feel that they have a quote-unquote good chance to win. I think what we sell here, we sell the beautiful ballpark, we sell a great city. We did not win this year. But in the past years, we've won and we've been a competitive team. This is an ownership group that has spent money and will continue to spend money to get the deals done, so players look at that." Mets to sign Igarashi. The Mets were in the final stages of completing a two-year deal worth roughly $2 million with Japanese reliever Ryota Igarashi, 30, who was 44-27 with a 3.26 ERA and 51 saves in 10 seasons with the Yakult Swallows. Reyes working toward spring training returnA full two months after surgery to clean up scar tissue around his right hamstring tendon, Jose Reyes is showing progress Yanks, Mets look at Aroldis ChapmanBoth New York teams, as well as the Red Sox, met with Chapman in October and the bidding for the hard-throwing lefthander's services. 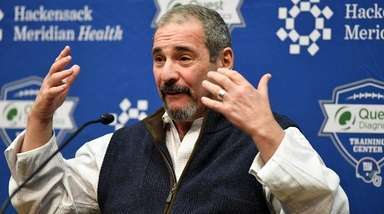 Baumbach: Forget Phillies, work on fixing MetsThere is still a chance for the Mets to salvage this offseason, according to Jim Baumbach.